Fitness and Exercise Plus a Surprise 10 Articles – Bonus! Fitness and Exercise – Plus a Surprise 10 Articles Bonus! ARTICLE #10: Want Great Muscle Tone – Try the Swiss Exercise Ball Today! Buying A Refurbished Treadmill – As New Quality For Bargain Prices! Buying a refurbished treadmill is fast becoming an increasingly popular choice. If you are a regular runner, you will know how great running is to lose weight, tone up and improve your health. However, some people can feel very self conscious running outside, and can feel very vulnerable running when it’s dark. It isn’t pleasant to run when it’s pouring with rain either, so a good way of being able to run whenever you like is to buy your own treadmill for a weather proof workout. However, treadmills can be very expensive pieces of equipment, especially if you want a quality machine. Although you can purchase treadmills for just a few hundred dollars, they are unlikely to be strong enough or comfortable enough to withstand sustained use. One option is to purchase a used or second hand treadmill. These are basically machines that somebody else has used and no longer wants. Although you could pick up a good deal this way, buying second hand is always risky as you have very little comeback if a major part fails the day after you bought it. Many people are now turning towards purchasing a refurbished treadmill. This can be a way to purchase a quality machine at a much lower price than buying new. So what exactly is a refurbished treadmill? It is one that has been disassembled and rebuilt, tested for faults and any worn parts replaced. Quite often the treadmill has been sandblasted and repainted; in fact it should resemble a brand new machine. These machines have been previously owned and used, either by a gym or an individual, and refurbished either by the original manufacturers or a private company. Machines refurbished by a private company tend to be cheaper, which is useful if you are on a tighter budget. If you are able to afford it, however, purchasing a refurbished treadmill from the original manufacturer can give greater peace of mind as they are thoroughly checked for possible faults before being resold. The main thing to watch for when choosing a refurbished treadmill is the length of warranty which comes with it. You will need to know that you have comeback in case of faults or breakdown, and the longer the warranty the more confidence you will have in the reliability and durability of your machine. Always try out several machines so that you can choose one which feels comfortable for you. Make sure it will be durable enough for your needs, especially if you intend to use it a lot at a higher intensity. You may want to look for features such as an inclination option to simulate running uphill, heart rate monitor and programmed workout. 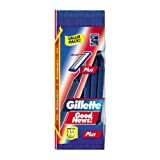 Gillette GoodNews! Has Twin Gillette Comfort Blades that are thin to cut hair more easily. Kordels Teenage Multi Is A Multivitamin And Mineral Supplement Specially Formulated For Active Teenagers To Help To Provide The Essential Vitamins And Minerals Needed To Help Maintain Clear Skin And Vitality And To Help Cope With Extra Nutritional Demands During This Time. Suitable For Vegetarians And Vegans. Nzuri is a Swahili word that means “very good.” When we set out to create a product for hair, skin and nails, our team of experts knew we needed to produce a product that was excellent. Just like the meaning of the name, Nzuri is very good for growing longer, stronger, healthier hair and it’s very good for your health. What causes hair to grow or not to grow? Healthy hair is not only a pleasure to behold; it is pleasing to the person that has it. A single follicle on the human scalp produces approximately .35 millimeters of hair shaft per day. The cycles of growth of each follicle consist of the building up and tearing down of the structure. After a period of rest the follicle is built anew from raw materials and each hair follicle goes through this identical process as it grows longer and stronger. Nzuri, a high-quality liquid multivitamin hair tonic supplies the body with the proper vitamins, amino acids, and minerals that you may not be receiving in your diet to help create beautiful, healthy hair. It is important to point out that many of the metabolic requirements of the cells of the hair follicle must be met or adequate and optimal hair growth will not occur. This means that certain vitamins and minerals must be present in adequate proportions or there will be faulty or nonexistent hair growth. Research has shown that in our hurry up world of fast food, and extreme work schedules we have developed extraordinarily poor eating habits. This extremely poor diet affecting our general health and energy levels and makes our fingernails weaker and our hair thinner and far less healthier. Hey dieters prepare your taste buds for total ecstasy!! You will not be disappointed with this cookbook, it has over seventy mouthwatering recipes for breakfast, lunch and dinner. All the recipes have easy to find Wight Watchers points plus values!! So put on your aprons and let’s get ready to please ourselves and our significant others. And let’s lose some weight while we are at it. This book is a compilation of my first three books with lower sodium ingredients, and Weight Watchers points plus points added to these extremely healthy, high-protein recipes, at less than the price of two of the originals. Dieters, I guarantee you will be pleased with these recipes. This is not an official Weight Watchers book, although all information contained herein is absolutely correct and verifiable using the official Weight Watchers Points Plus Calculator. Can drinking a lot of water (plus healthy eating habits) help you lose weight or just retain water? Question by : Can drinking a lot of water (plus healthy eating habits) help you lose weight or just retain water? I run everyday and drink a lot of water throughout the day and during my workouts. I also eat healthy (sometimes my sweet tooth takes over, but I don’t go crazy). I’m not fat or anything but I’ve been cursed with love handles that refuse to go away, even after my change of lifestyle. Is this just water weight that should just sweat off or what? Please help, spring break is around the corner! It doesn’t make you retain water. It helps PREVENT water retention! It’s all around good for you. Magma Plus Natural Energy Drink Powder Dietary Supplement Containing Active Enzymes, Antioxidants, Vitamins, Minerals, Amino Acids, Protein, and Chlorophyll. Yoshihide Hagiwara, M.D. found that “young barley grass is one of the most nutritionally balanced foods in nature.” Magma Plus contains barley grass juice powder plus 57 other natural ingredients for a potent nutritious energy drink. 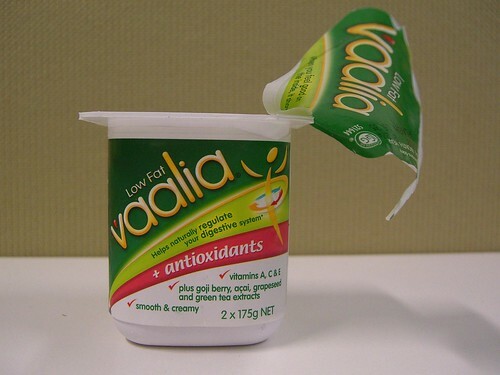 Available in two sizes- 150 grams (16 servings) and 300 grams (33 servings). Log food intake and log exercise to calculate calorie consumed vs. burned. Food database contains 13,000 selections including fast foods and coffee, or add your favorites. Keep track of body symmetry measurements, body weight and body fat. DietMaster 2100 is like having your own private sports nutrition counselor! Enter your personal profile to calculate your calorie needs and select from ready-to-print performance meal plans and grocery lists designed by our team of professional athletes and registered dietitians. DietMaster 2100 also provides you the ability to analyze your eating habits to identify caloric intake and nutrient deficiencies. Set your goal weight and estimate the date you will reach your goal. Track your body symmetry measurements including arms, shoulders, waist, hips, thighs and more. Use the Body Composition screen to save historical body weight and body fat data and graph progress over 3 months, six months or one year. The new DietMaster 2100 Plus edition includes a Fitness Assessment Module for evaluating ones overall fitness condition including cardiovascular, flexibility, strength and body composition. Registered Dietitians note about the meals included in this program: The performance menus provide high quality whole grain and vegetable foods for optimum performance needs. The average macronutrient ratio for the 7-day period is 60% carbohydrates, 20% protein and 20% fat. The templates also offer a daily average intake of 40 grams of dietary fiber. High fiber levels will minimize body fat storage and stabilize glucose thus stabilizing blood sugar levels within the body to maximize sustained energy levels. *IMPORTANT: DietMaster 2100 series of products is NOT designed for professional use. Specific personal profile data cannot be changed once entered (e.g. birth date, gender).